a simple candle stand which has loads of stories to tell, can simply become your favorite piece of art. This T-Light candle can humbly sit Read More..in your living area illuminating the surrounding area. The candle stand is carved out of wood which is interfered with elephant structures drawn all over its surface. 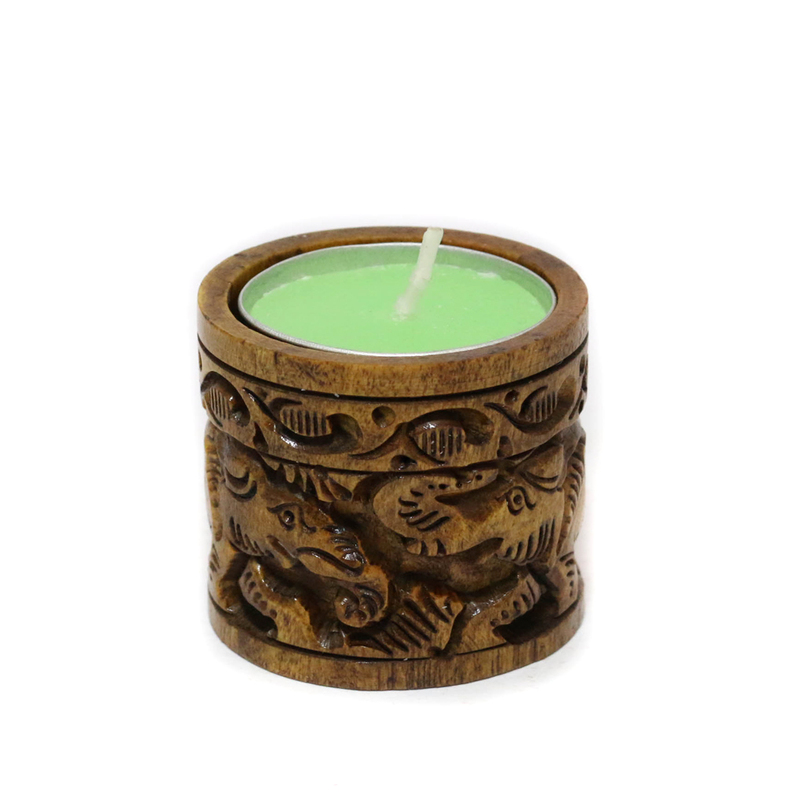 It has an ethnic brown hue and the candle has a sea green colour. Show Less..